WOW!. . . .that’s something we heard a lot of as strolling through the quilt show on Friday and Saturday. 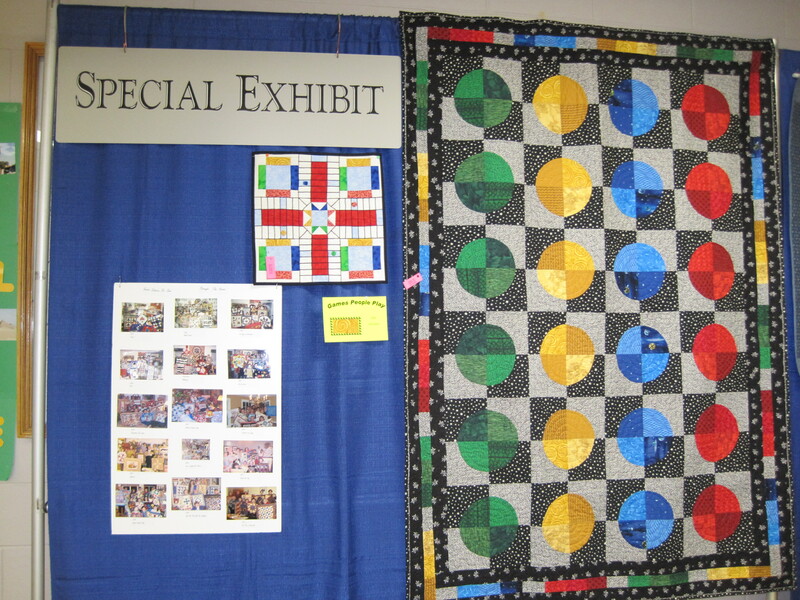 Both quilters and non-quilters alike were very impressed with the great display of excellent workwomanship and also the nice variety of quilts that were entered this year. We are a very talented group of women! It was exciting to see the contribution made by some of our new members. Another comment that was heard a lot was how much everyone liked the ribbons and our new signs! As you know, this was our first year with a professional judge, and she also expressed to us how impressed she was with the quality of work she was looking at. She couldn’t believe it was our first judged show. I hope all our members got a chance to get to the show and see their work hanging proudly whether judged or not. Attendance was down a bit this year, but the people that did come shopped and ate more to make up for it. The numbers are in, and Ginny Platt will be tallying them up and reporting in more detail at the wrap up meeting. A huge thanks to all the committee members, ribbon makers, worker bees, friends, relatives, and draftees that made this show possible. Pat and I could not have done this without you. It takes a village. . . We hope everyone enjoyed themselves as much as we did.